Week3 | Jamaican in China…..and beyond! I’m breaking my fast today! Yay! I’ve been on a water-only fast for the past 6 days. 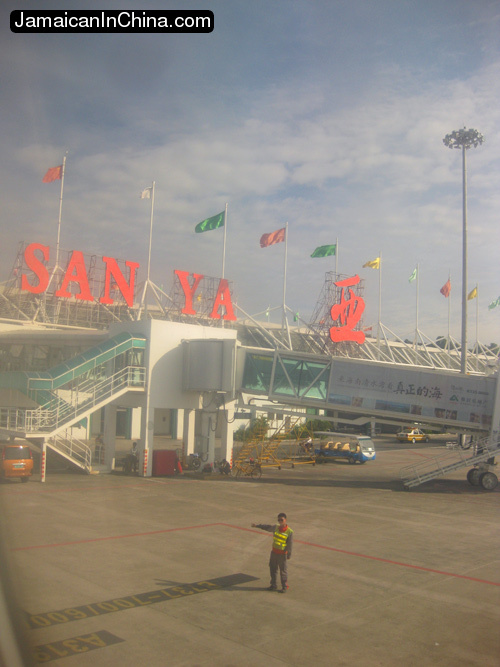 I started about 2 days before leaving Xishuangbanna, and have been on it for the past 4 days in Sanya, Hainan. So, if I look skinnier than usual in any of the Hainan photos, now you know why. So, this morning, I will have a watermelon, then rambutan, papaya and other fruit throughout the day to break the fast. In my initial travels around Sanya, I’ve found a protein bar and some wheat-free cookies and I’m anxious to taste them! Meanwhile, I’m currently staying at a youth hostel near the airport. In between jaunts on the beach, I’ve been on a quest for an apartment with a kitchn here in Sanya. 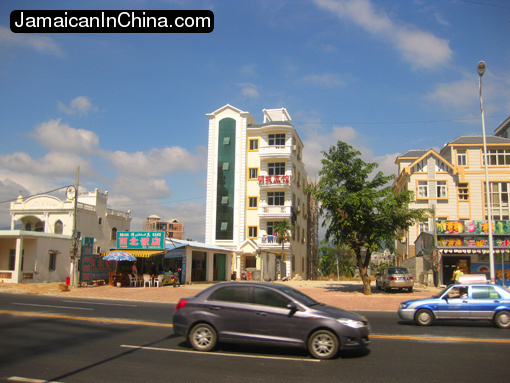 I have found a 80RMB/night hotel a short ways away (no internet). 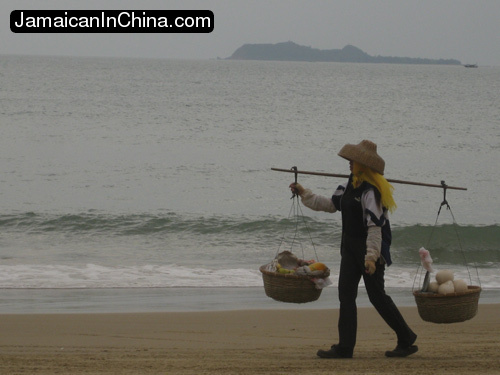 The challenge is that Chinese new year is coming up on February 7, and all the hotels and landlords raise their prices to take advantage of the rush to celebrate new year on Hainan. I was paying 40RMB/night($6US) ( for my third floor hotel room in Xishuangbanna with internet access. 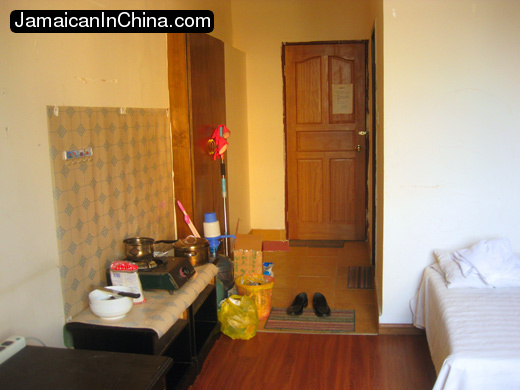 Here, the cheapest hostel charges 120RMB/night ($18US). Some of the quotes I’m getting for a one-month apartment rental start at 6,000RMB/month ($909US). I REFUSE to pay $900 for an apartment! That’s a New York price!!! As I do my travels to various cities in China, I’m able to establish a routine, norms and requirements for my happiness and comfort. Depending upon how “furnished” my accommodations are, I may need to purchase a few items at each destination. At my first villa in Xishuangbanna I didn’t have to purchase much. 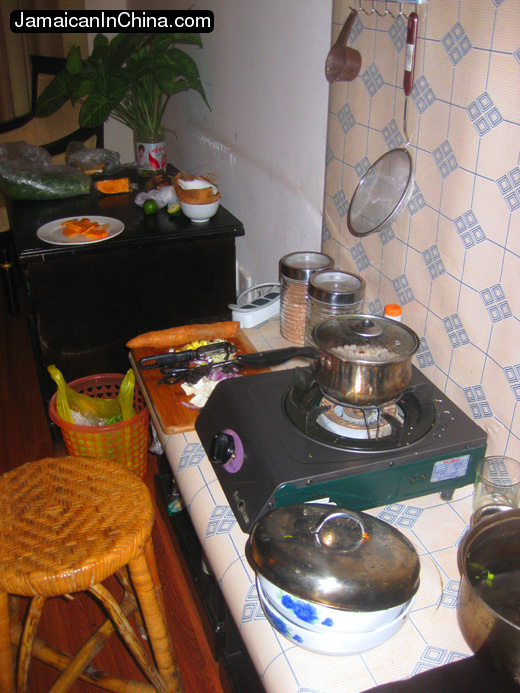 However, the second place I stayed was an empty hotel room which the owner equipped with a single-burner stove, a small gas-tank to allow me to cook, so I had to buy everything else except toilet tissue. Here’s what I ended up buying, and which now constitutes my standard shopping list for new nomad destinations. Total cost in US $23.31! See? It’s not that expensive at all–particularly if you’re on a US-based/derived income. Of course it helps if you’re low maintenance minimalist, willing to shop where the local people shop, but the fact is, your dollar can go much further in many destinations overseas. 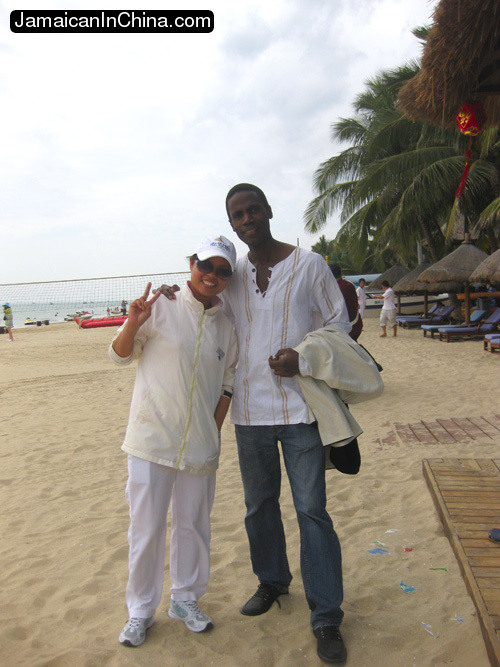 So, my point is, when you think to yourself that traveling around the world is something you could never do, remember the dollar-a-day nomad and Jamaican in China! 顾瑞奇, My new Chinese name! I have a new Chinese name! From back on Saipan, my Chinese friends would ask me if I had a Chinese name. I’d gotten a few suggestions from everyone from girlfriends to waitresses, but none quite seemed to work. Whenever I would take an unofficial survey of a name with other Chinese friends, the responses would be lukewarm, and the names just didn’t seem to fit sound-wise or meaning-wise. 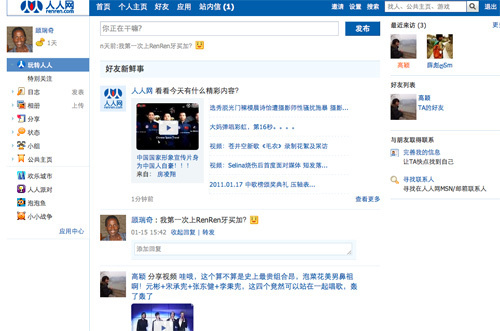 So, recently I asked my friend, Jian, to help me set up a renren account (the Chinese version of Facebook; social networking site) since the site is in Chinese, and I cannot yet read Chinese characters. In doing so, he chose a name for my profile. He chose 顾瑞奇; “Goo-ree-chi”; sounds a bit like goodridge). You can call me 顾瑞奇! I like it, too. Like I said, it sounds a little like Goodridge. Plus, it has the “guru” sound in it, and, as Gao Ying mentioned, the meaning is one I can definitely get used to! And here’s what the renren page looks like. Every since hearing about the island of Hainan from back on Saipan, I’ve been curious to check it out. It’s an island similar to Saipan in many ways! Well, I’m finally here! 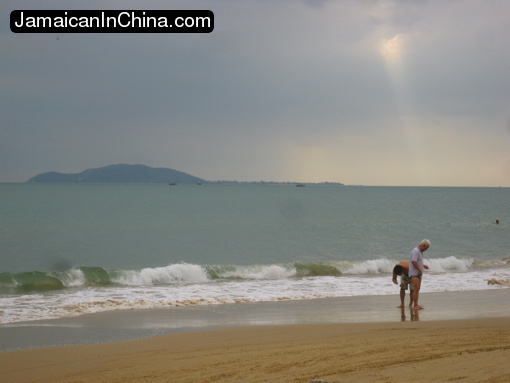 I’m in Sanya, the southern part of Hainan! I’ll post at length once I get settled. 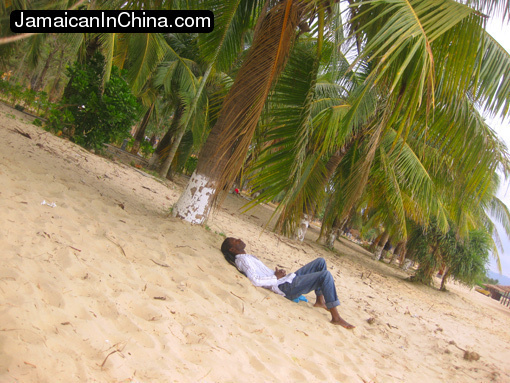 However, here are a few early images of my first hour on Hainan! Well, let me clarify. I like the experience of being above the clouds for a few hours. 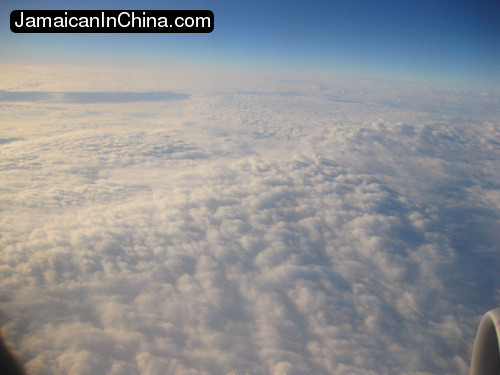 I do my best brainstorming at those times, as I did on the flight from Kunming to Hainan. I get a different perspective of life, and of all the daily efforts and activities and how they fit into a grander scheme when I’m above the clouds. Not surprisingly, when I want to visualize my books and writing reaching and affecting greater numbers of people, being above it all (and being able to peer down upon my market) helps me think of specific strategies and things to add to my task list. Yep, you guessed it! I’m on the road again! 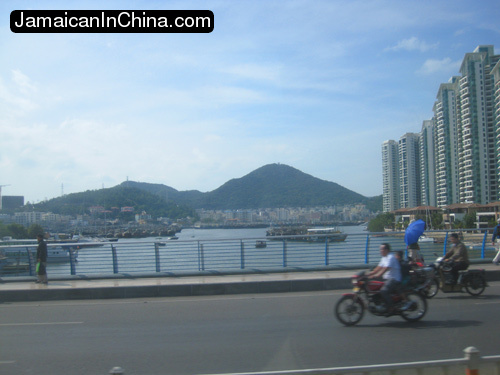 I’m heading to Hainan, a little island off the southern coast of China! I’ll add more this post soon. I’m in a rush to get up to date!